Version 10 FeaturesFeatures Premiered in Version 10! 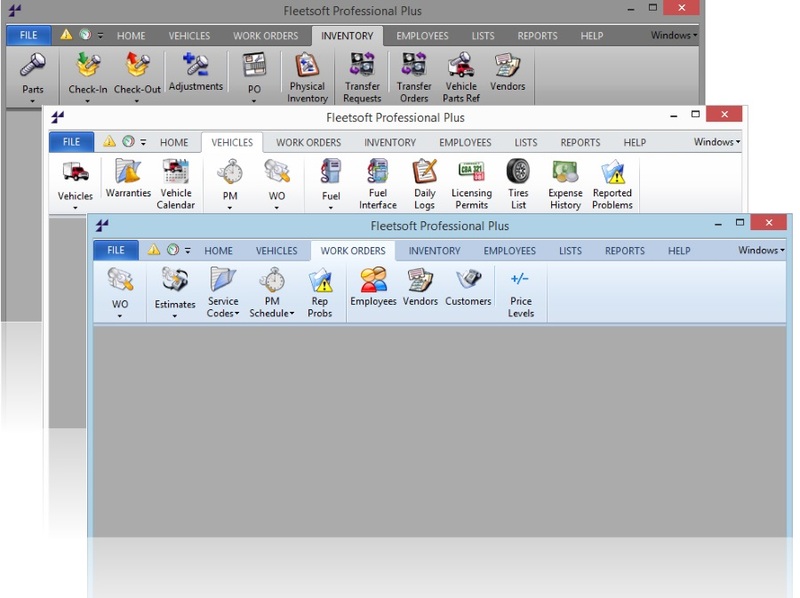 Organized access to all areas of the software, easily and quickly from one main toolbar. Use the new alert links and key performance indicators to take action. Interactive charts for high-level analysis and insight into trends. 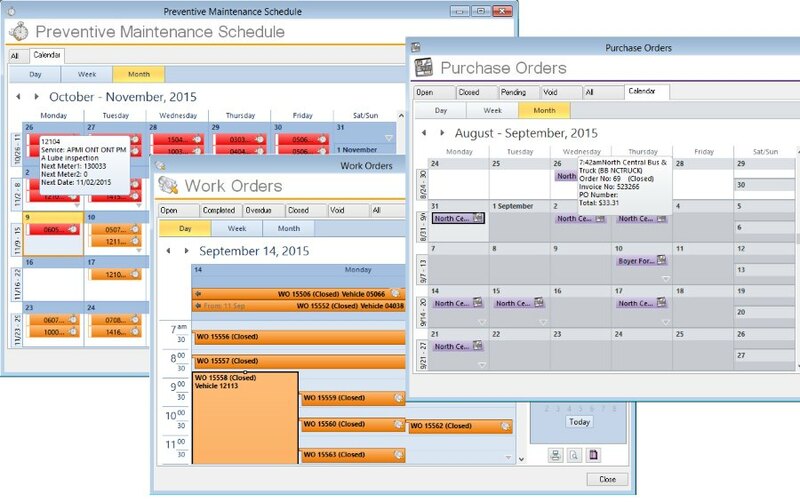 Interactive PM Scheduling, Work Order, and Purchase Order Calendars. Employee Calendar and more! 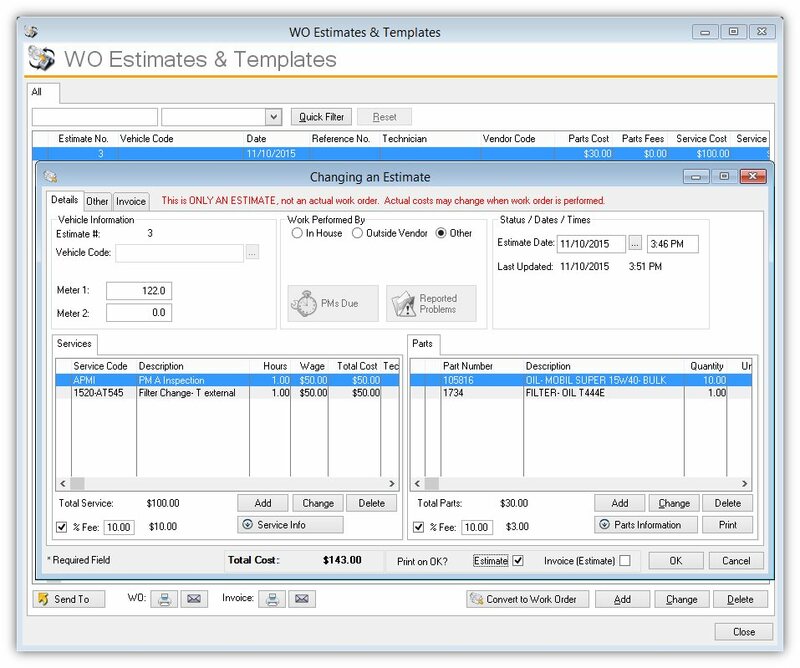 Create and printout estimates for parts and service, and templates for generating work orders. 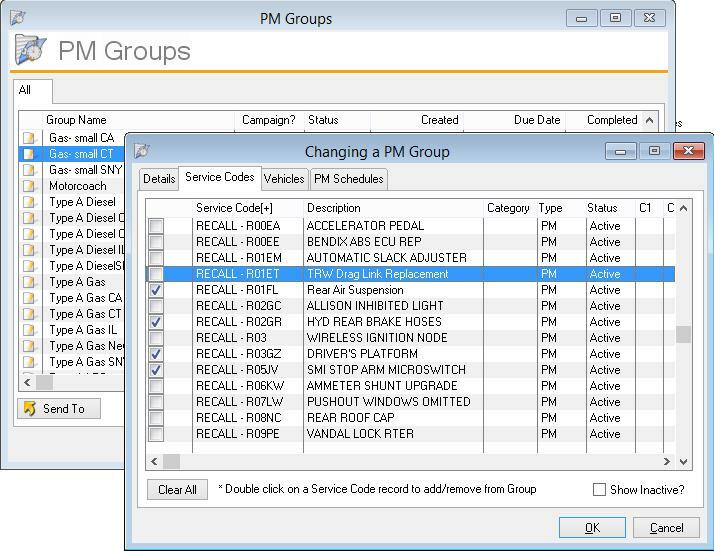 Manage PM reminders with ease, and track the status of your Campaigns using PM Groups! Not the right part? Out of stock? Quickly selected similar parts, cross-references, and previously used parts to get the job done! 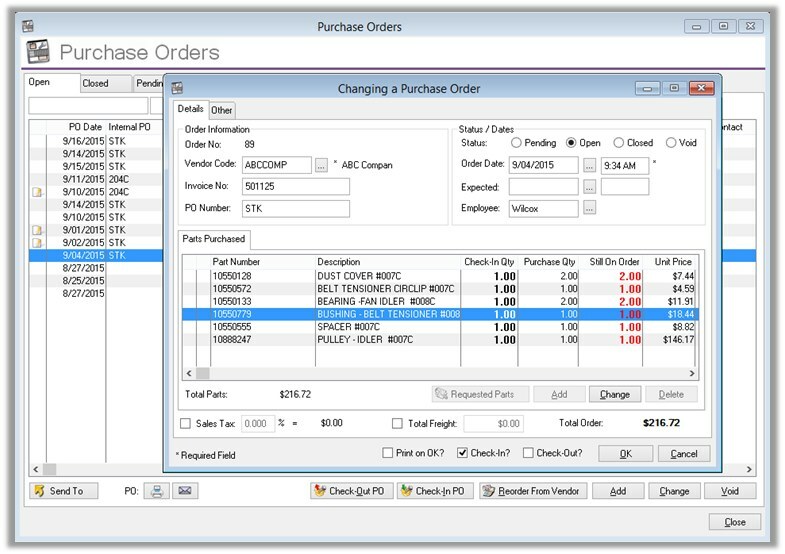 Receiving a full order or partial order has never been easier. 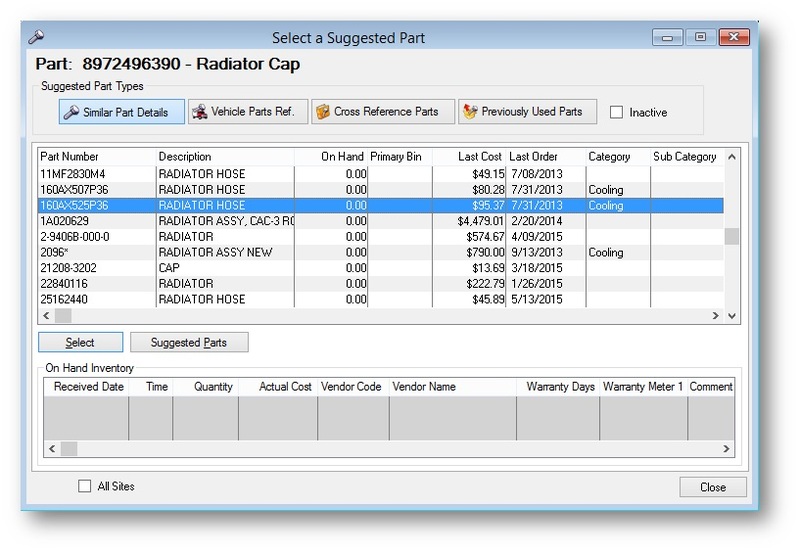 Check-in to inventory, or convert the entire purchase order to a new work order! 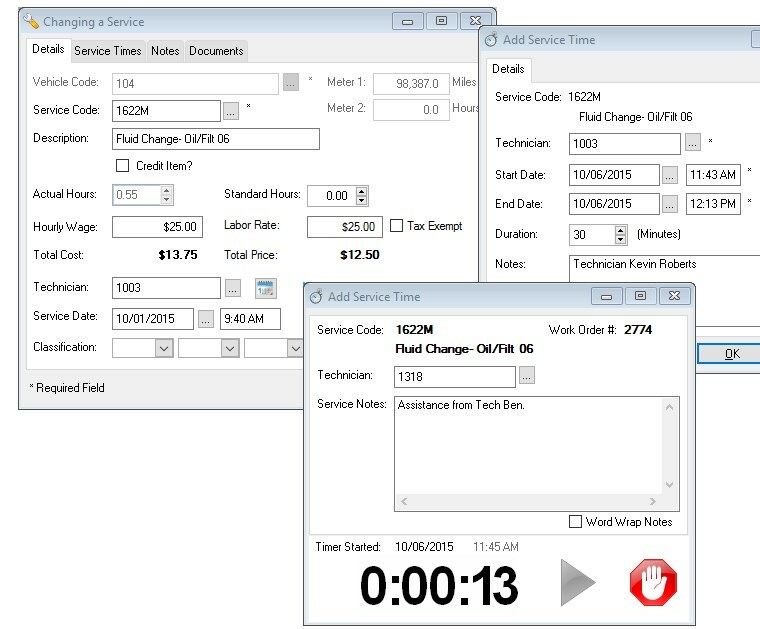 Record multiple mechanic start and stop times for each individual service performed! And much more new features and enhancements! 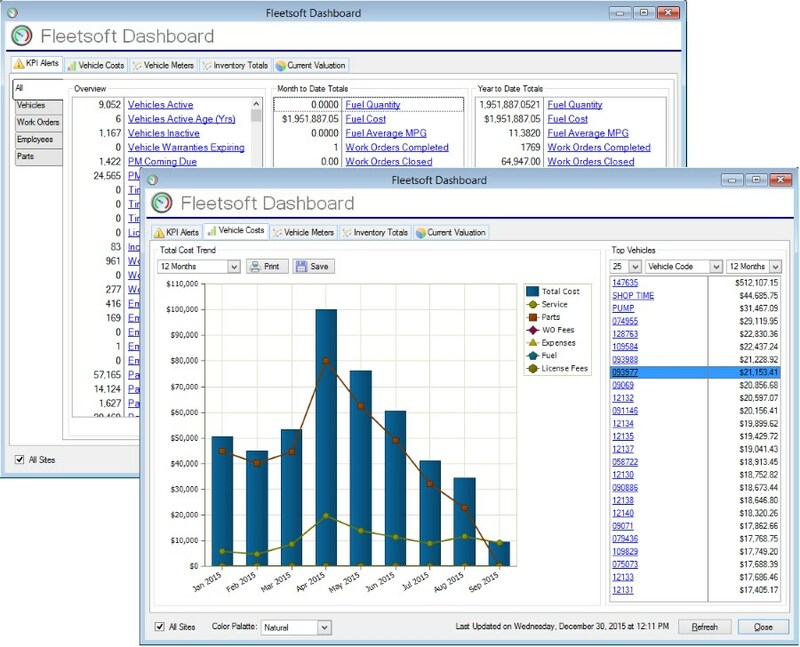 Take a look at all of the features in Fleetsoft, or contact us for a customized quote today!